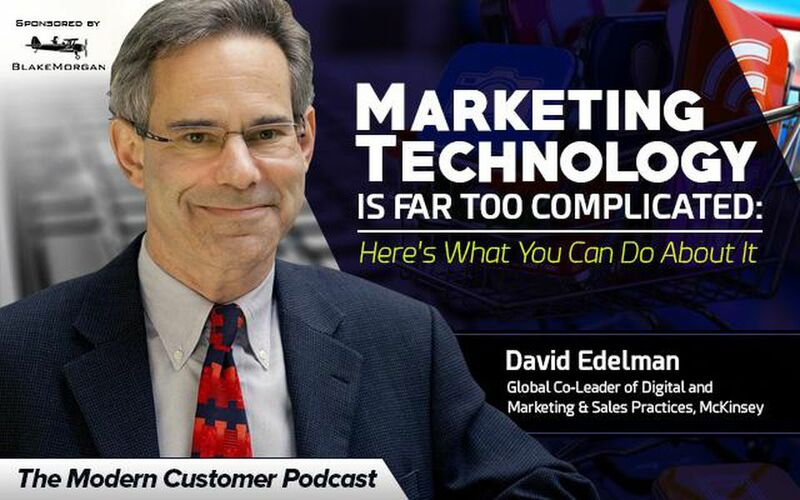 Today on the Modern Customer Podcast we’re joined by David Edelman, global co-leader of McKinsey’s Digital and Marketing & Sales Practices, based in Boston. For more than 20 years, Edelman has specialized in helping marketing executives manage the strategy, organization, and infrastructure transformations required to become “digitally adroit” leaders. From creating digital centers of excellence to developing marketing technology architecture plans to redesigning entire go-to-market approaches, he has led work that is both strategic and highly tactical. A frequent contributor to leading publications, and a Top 5 LinkedIn Influencer, Edelman has also spoken or participated in panels at many top CMO and industry gatherings. He also sits on the advisory boards of a couple of small agencies and startups in the social and video markets.